Bob Hope was a 20th-century entertainment giant known for decades of appearances in vaudeville, films, and television. But perhaps his most important and enduring work occurred overseas: For fifty years, Hope traveled to army bases, airfields, military hospitals, and war zones as part of tours organized by the United Service Organizations, popularly known as the USO. His shows brought much-needed laughter and a glimpse of home to thousands of soldiers around the globe. 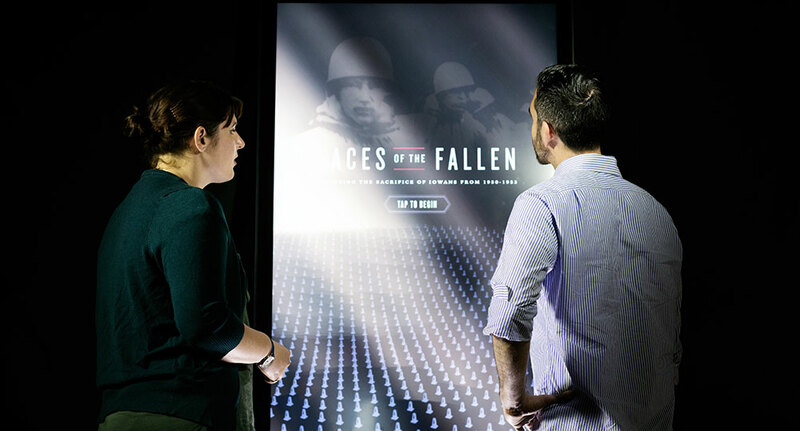 Ideum was very proud to work with the National World War II Museum in New Orleans to develop a new exhibit that lets visitors explore the depth and impact of Hope’s contribution to military morale in WWII. On the Road with Bob Hope focuses on Hope’s 1943 tour of Europe and Africa and 1944 tour of the South Pacific. The exhibit is part of a larger exhibition, So Ready for Laughter, which opened at the Museum in May. 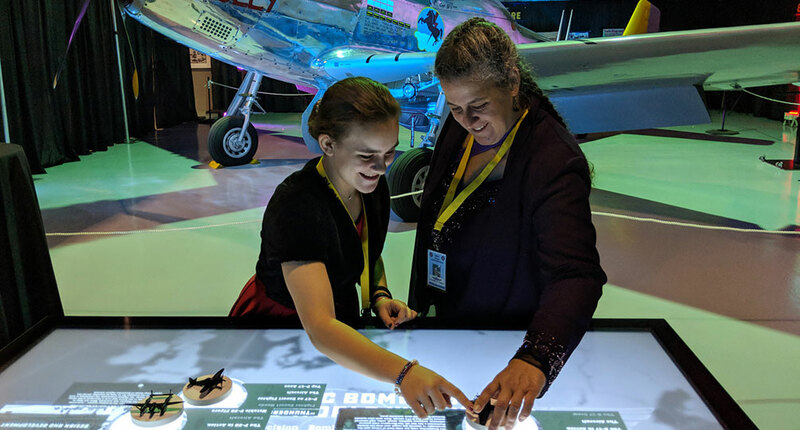 Visitors start their journeys by selecting a tour with a custom tangible object containing a model of a WWII-era C-47 transport plane. (Docents can also set the experience to run in a non-tangible touch mode.) They then zoom from a global to a regional view and select individual dates and locations to investigate. 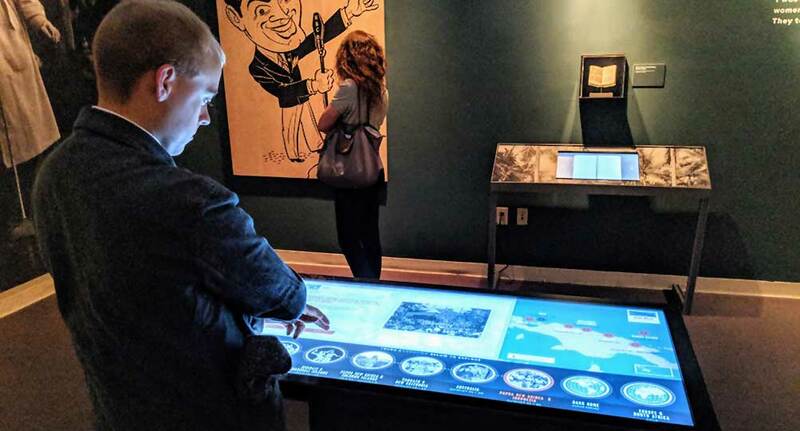 At each location, users can see images and videos of historical performances and view high-resolution photographs of original itineraries, letters, and other artifacts. 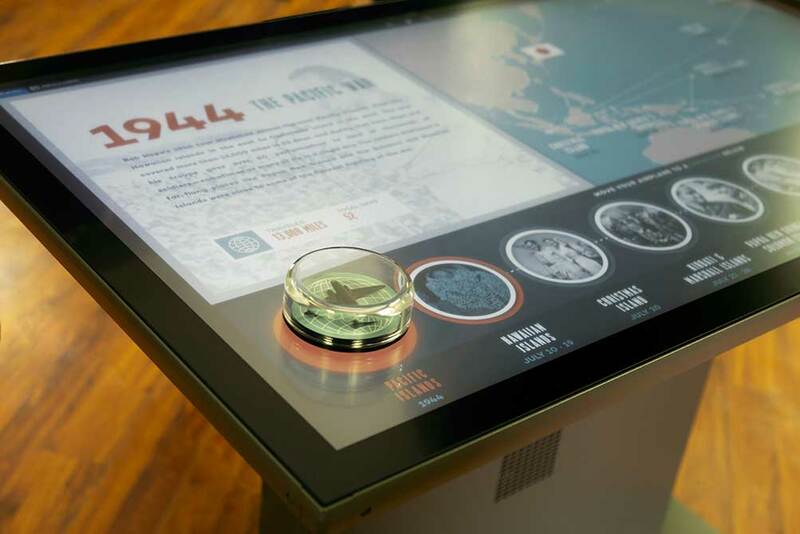 The exhibit runs on an Ideum 49” Presenter touch table with a custom gray powdercoat finish. Hope and his “Gypsies” sometimes gave numerous shows in a single day, and often performed dangerously close to the fighting—but they were undeterred by air raids, plane crashes, or fatigue. They often remarked on how much it meant to them to provide smiles and solace to allied fighting men and women. Hope’s support of our military didn’t end with World War II; he and a changing cast of comedic and musical comrades toured military bases during the Korean and Vietnam Wars and continued their journeys to support soldiers in conflicts in the Middle East into the 1990s. So Ready for Laughter will be open to the public at the World War II Museum until February 2019. 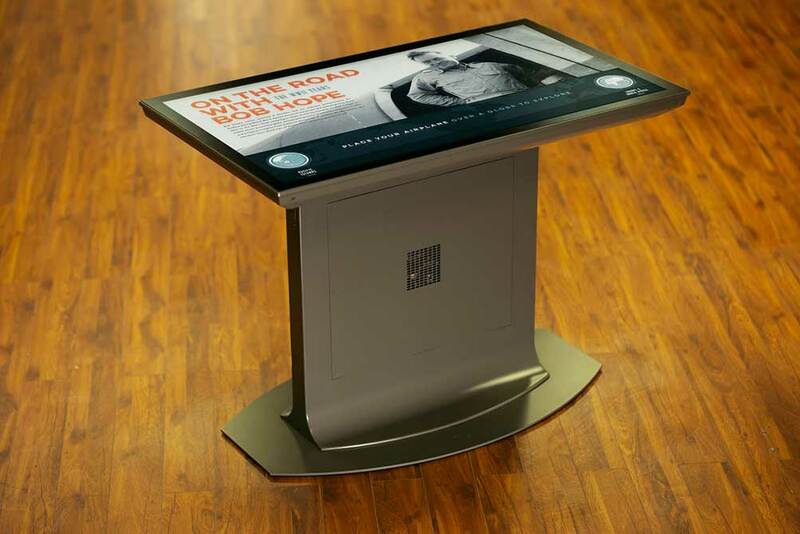 The On the Road touch table exhibit will remain part of the Museum’s permanent collection. Ideum touch table with durable, elegant custom gray finish. Placing a tangible object on the table opens tour content.